Includes all the features which made Prince of Persia so popular, including fluid, realistic animation, devious traps, and an elegantly simple interface for running, jumping, climbing, and sword fighting. The story line, co-authored by Mechner, is in the rich tradition of the Arabian Nights and pulls the player through the exotic and fantastic locales of ancient 12th century Persia. Environments will include ornate palaces, labyrinthine caverns, mystical ruins, and bizarre fortresses, all of which will be vividly portrayed in the rich aesthetic characteristic of middle eastern culture. 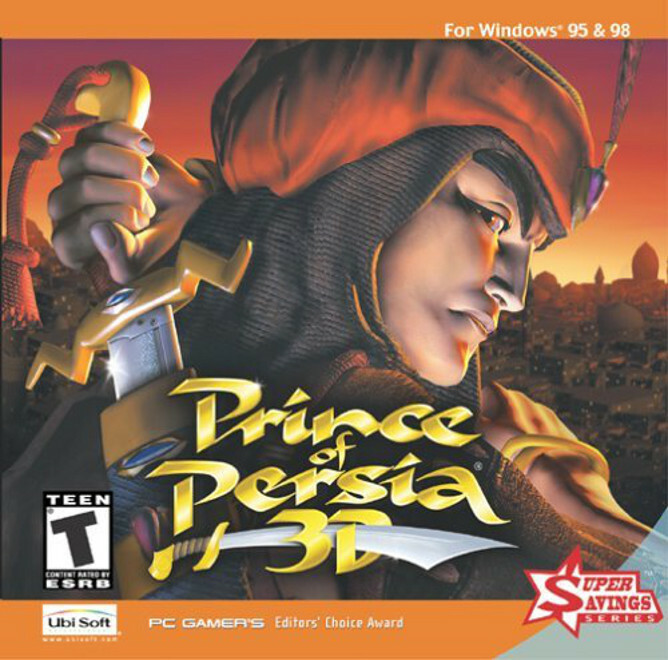 The new version of Prince of Persia uses advanced 3D technology to combine the fast-action combat of a fighting game with the depth and immersion of a classic adventure/action game. To promote Prince of Persia 3D and grow its popularity (top games), use the embed code provided on your homepage, blog, forums and elsewhere you desire. Or try our widget.